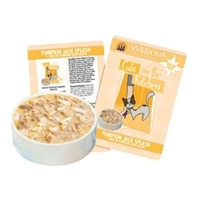 Cats in the Kitchen Chicken & Tuna Recipe in Pumpkin Consomme Funk in the Trunk Canned Cat Food, 6 oz. Cats in the Kitchen Two Tu Tango Sardine, Tuna & Turkey Recipe Au Jus Canned Cat Food, 3.2 oz. 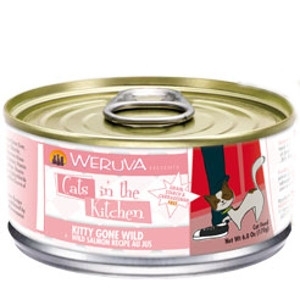 Cats in the Kitchen Kitty Gone Wild Wild Salmon Recipe Au Jus Canned Cat Food, 6 oz. 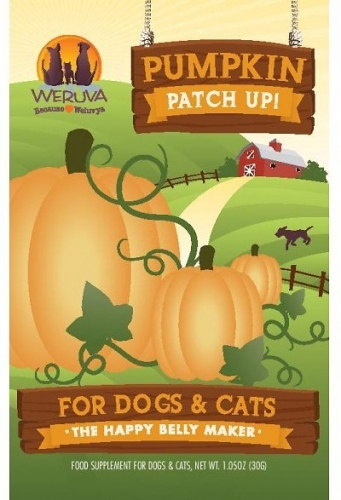 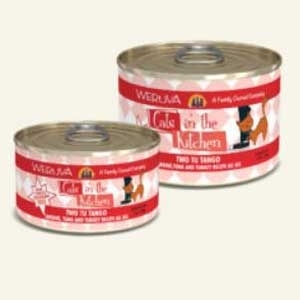 Weruva La Isla Bonita - Mackerel & Shrimp Canned Cat Food, 3.2 oz. 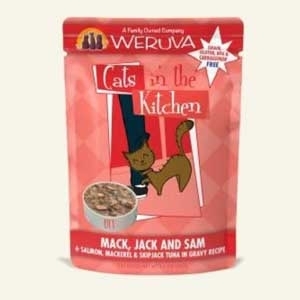 Pick up this delicious grain free recipe from All Things Woof Meow, Too! 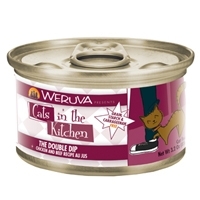 Cats in the Kitchen The Double Dip Chicken & Beef Recipe Au Jus Canned Cat Food, 3.2 oz. 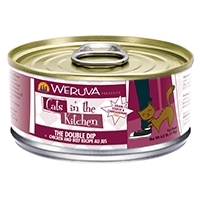 Cats in the Kitchen Chicken Recipe Au Jus Chicken Frick 'A Zee Canned Cat Food, 3.2 oz. 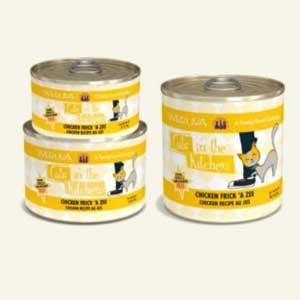 Cats in the Kitchen Chicken Recipe Au Jus Chicken Frick 'A Zee Canned Cat Food, 6 oz. Cats in the Kitchen Chicken & Ocean Fish Recipe Au Jus Splash Dance Canned Cat Food, 6 oz. 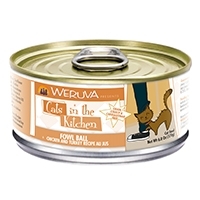 Cats in the Kitchen Chicken & Turkey Recipe Au Jus Fowl Ball Canned Cat Food, 6 oz. 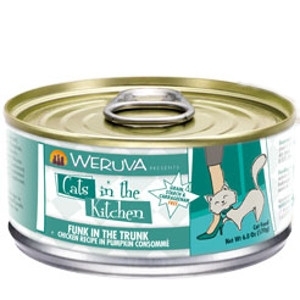 Cats in the Kitchen Chicken & Tuna Recipe in Pumpkin Consomme Funk in the Trunk Canned Cat Food, 3.2 oz. 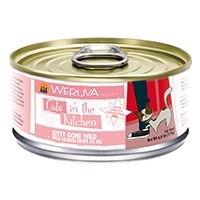 Cats in the Kitchen Wild Salmon Recipe Au Jus Kitty Gone Wild Canned Cat Food, 3.2 oz. 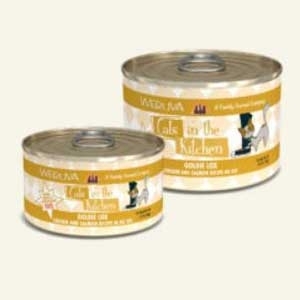 Cats in the Kitchen Chicken & Salmon Recipe Au Jus Goldie Lox Canned Cat Food, 6 oz. 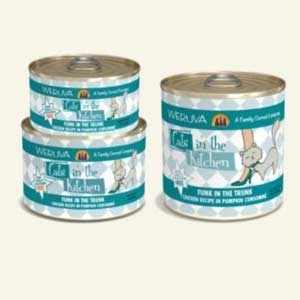 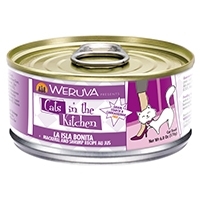 Cats in the Kitchen La Isla Bonita Mackerel & Shrimp Recipe Au Jus Canned Cat Food, 6 oz. Cats in the Kitchen Two Tu Tango Sardine, Tuna & Turkey Recipe Au Jus Canned Cat Food, 6 oz. 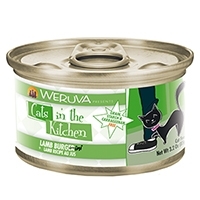 Cats in the Kitchen Lamb Recipe Au Jus Lamb Burger-ini Canned Cat Food, 3.2 oz. 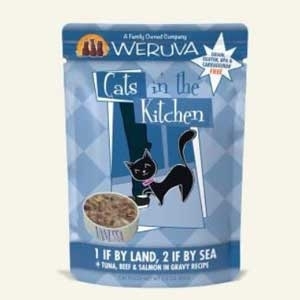 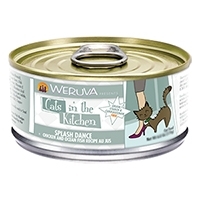 Cats in the Kitchen Chicken & Ocean Fish Recipe Au Jus Splash Dance Canned Cat Food, 3.2 oz. 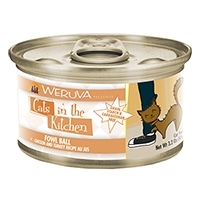 Cats in the Kitchen Chicken & Turkey Recipe Au Jus Fowl Ball Canned Cat Food, 3.2 oz. 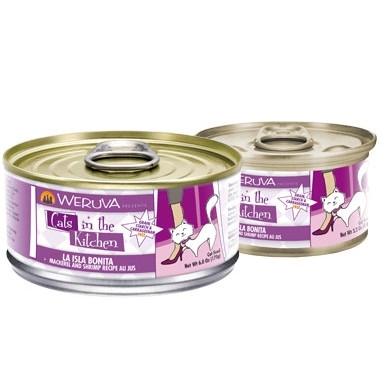 Cats in the Kitchen Chicken & Salmon Recipe Au Jus Goldie Lox Canned Cat Food, 3.2 oz.